Whether you are considering gate opener installation or have an existing automatic barrier on your property, there are several safety issues to consider. 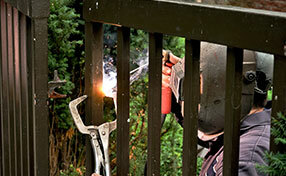 Automatic gates can be very dangerous if they are not treated with the proper care and respect. Safety should be a paramount consideration and here are a few tips that Gates Tujunga recommend for minimizing the risk of accident or injury. Each model has different instructions, so even if you are simply updating your existing system, you should follow the specific instructions for your new model. Failure to install the system correctly can cause malfunctions and result in serious injuries to yourself or other people. Children are usually fascinated by automated barriers but it is important that they are taught that it is not a toy. Never allow children to play with the gate remote and ensure they do not play within the vicinity of the gates. These barriers can be very heavy and present a hazard to children should they open or close. Although many models are equipped with safety sensors, it is good practice to teach your children basic respect for this type of device. Malfunctions are usually caused by poor maintenance. Instigate a regular maintenance service routine to check the barrier is functioning correctly, all fixings are properly secure and no components are looking worn or damaged. Noticing these small issues before they have a chance to develop into a major malfunction can not only improve safety but reduce repair costs. 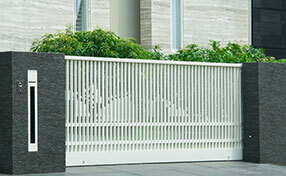 Prominent signs can act as a deterrent from intruders and warn people of the possible danger an automatic gate poses. This will encourage visitors to exercise proper caution when in the vicinity of the barrier. 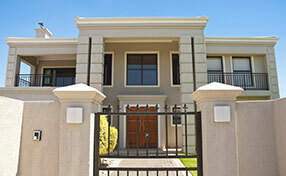 There is a great choice in residential gate openers which have a number of additional safety features. These can include safety sensors, cameras and emergency release facilities.